On Wednesday, WWDC tickets went on sale early and sold out in record time, leaving many Apple iOS and Mac developers ticketless and fuming. It’s a classic case of limited supply and tremendous demand, and now there’s a new ripple in the drama: An Apple policy designed to discourage ticket scalping is revoking tickets that have already been purchased. This year, Apple implemented a strict policy that limits purchases to one ticket per individual developer, and five tickets per company. It’s all part of an effort to crack down on tickets being mass-purchased and resold on backchannels, like eBay and Craigslist. 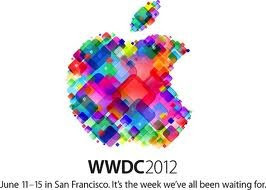 Tickets for Apple’s five-day Worldwide Developers Conference, which is being held June 11 to 15, cost a whopping $1,600. But now it appears that Apple may be enforcing its policy a little too strictly: According to developer reports, Apple is canceling the orders of companies that purchased multiple tickets on a single credit card. Apple does appear to be reinstating tickets that were legitimately purchased by companies for multiple employees with different developer accounts, according to The Next Web. To win reinstatement, a company representative needs to contact Apple and request it take a second look at an order. Tickets for WWDC went on sale without prior notice at 5:30 a.m. Pacific Wednesday, and sold out within two hours. The early-hour ticket release provoked angst among West Coast developers who discovered they missed out on the yearly conference upon waking up that day. Students are still able to apply for a free student scholarship ticket, though, so if you’re in one of Apple’s developer programs, over 13, and have proof of enrollment, you might still be able to score a ticket.